Space is lit. In fact, it is so lit that Canadian taxpayers give their space program, the Canadian Space Agency (CSA), 332 million dollars annually to play around with! This is an example of an expense made by the Canadian government using taxpayer money. And, like many budgetary moves, it is not without controversy. Investment in space exploration provides an interesting lens through which to explore broader debates over budgets and government spending. A major issue with investing in space is that it involves many expensive projects that have seemingly intangible effects on the average taxpayer. The value in the CSA is perhaps not obvious to the everyday citizen, leading to an ongoing issue of undervaluing the paramount importance of space understanding and exploration. When a government, like the current Liberals, decides to run a deficit, it generally makes it easier for the finance minister to satisfy the desires of several groups. There are a number of factors which influence finance ministers’ decisions on spending. One of the most intriguing considerations is the idea of certain spending being an investment; a consideration which is paramount in the case of budgeting for the CSA. Investment relies on the underlying assumption that there needs to be immediate payment for future payoff. This can create complications when it comes to public support for budget decisions because portraying future value in a simple manner is often difficult. It’s for this reason that people often have difficulty saving money for the future rather than spending it for short-term gain. The same principle applies broadly to politics. Taking the CSA for example: by virtue of our current technology, space exploration and space travel lays far in the future. We are a long way away from a time where average taxpayers would directly experience tangible benefit from space programs. Investing a hundred million dollars in a satellite won’t show immediate effects comparable to building roads – despite the fact that a satellite can possibly provide much more benefit. Here, we see just why justifying spending on the CSA can be difficult. It’s so irrelevant to the average person that politicians know it best to seldom mention it. “Canadian Space Agency” is found precisely one time in the 2018-2019 National Budget. Justifying $332 million annually (which actually is less than 0.1% of the Federal spending budget) can be difficult under these circumstances. Unfortunately, politicians may soon need to ask their constituents for permission to give even more. According to countless prolific scientists around the world such as Neil Degrasse Tyson and the late Stephen Hawking, space travel is a key next frontier in the development of the human race. Is 0.1% of the budget enough to make that next step? Of course, it’s easy to get caught up in the politics of the CSA with its budget and how politicians decide to frame it. When it comes to the average Canadian, what matters most is the benefit that can be drawn from money spent. Over the years, the CSA has provided for Canadians and the world in a variety of ways. 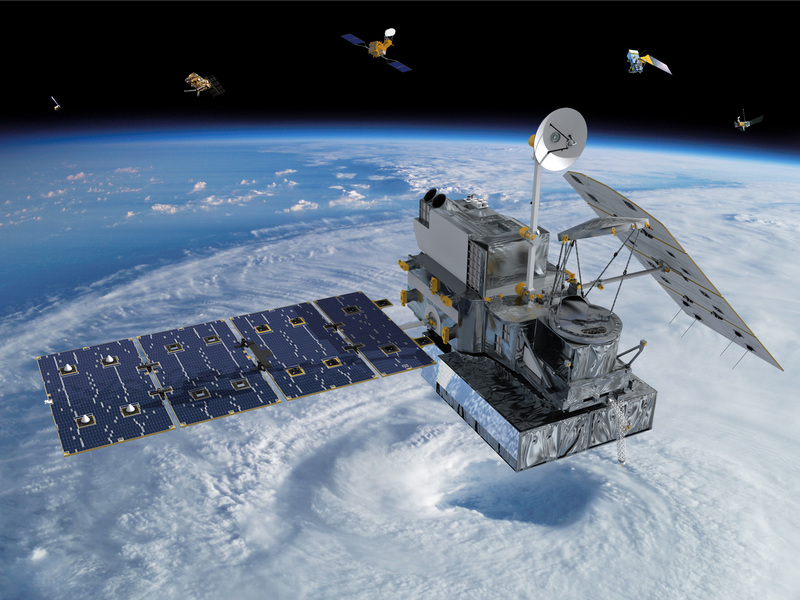 From the development of the Canadarm to providing instruments that measure weather patterns, the CSA’s accomplishments are truly out of this world. Back down on earth, the University of Guelph is working on a system that would one day allow us to grow crops on the moon or on Mars. Canada and the CSA have also displayed some of the world’s top astronauts including Chris Hadfield, who captained the ISS. Notably, Marc Garneau and Julie Payette are also Canadian astronauts who now contribute to the functioning of the Canadian state through their positions of Minister of Transport and Governor General respectively. Tangibly, we are already seeing the positive forces brought on by investment into the CSA. As is the case in countless other projects funded by the Canadian government, investment in the CSA appears to be good business – even if not all citizens see it yet. The strategic spending that governments do for political optics makes perfect sense on their part. They have incentives to impress their voter base with their financial and economic decisions, as it will increase their chances of maintaining power. This, however, does not necessarily transfer over to real-world benefit. For example, the CSA, since 2013, has lost about $150 million of its budget. A common counter to this in support of reducing the CSA’s budget is that it has underspent its budget every year for the past 17 years. While this is true, there is a legitimate reason for this practice on the part of the CSA that does not warrant an overall reduction in budget. Space programs are incredibly complex and often take many years to come to fruition. During this time, many complexities can cause the cost of a project to change, sometimes drastically. In order to avoid this, the CSA puts aside a set amount of money each year so that if a project would theoretically have put them over their annual allowance, they would still be able to function and not have to wait until the following year in order to carry out the project. As it stands, however, this is being mistakenly interpreted as the CSA is an easy place where the government can cut costs. Unfortunately, this political move hurts Canadians in the long run – as is often the case with spending cuts for short-term gain. Clearly, though they often go without consideration, long-term investments such as that of the CSA are ways for the citizens of today to invest in tomorrow. Unfortunately for the CSA, like many other portfolios, politics places significant constraints on the financing – and therefore the potential – of the program.